Do you enjoy rowing in a comfortable kayak on those brilliant waves while enjoying the serenity of the waters? If yes, you have come to the right place. 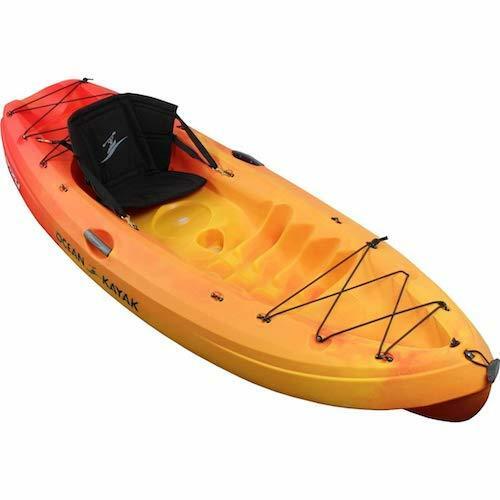 By reading our Ocean kayak frenzy review, you will learn to understand why this sit-on-top recreational kayak is so loved and welcomed by many kayak-lovers. Here is a quick recap on what we think of this kayak. Small size + Lightweight = Easy to store. Does not come with paddles. Kayaks are the most adventurous and best way to go down a river, lake, or even ocean. 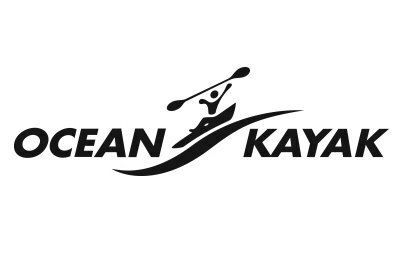 Before we go deep into the specifications and features of Ocean Kayak Frenzy itself, we think that you should know a little about the maker behind this great kayak, the Ocean Kayak Company. The design for Ocean Kayak’s kayaks was found due to the passion for scuba diving that the owner had back in 1971. They started off by getting people to put their boats in the resorts and from there, people started to get interested in the amazing boats. Since then, people have been curious and intrigued to use the product and see how amazing it is. They are the world’s one of the top and biggest manufacturers of sit-on-top kayaks and they have maintained their standard as a constant. They all have molded-in seat well, foot well and tank wells. They have comfortable seat backs. Side handles are attached for easy carrying. Optimal weight is primary so the boat is easy to row yet comfortable. They come with molded-in graphics and deck rigging. Click here to check out other kayak brands that you may be interested in. Frenzy kayak is a single sit-on-top kayak. The length of the Frenzy measures at 9 feet 10 inches long. It is a good comfortable length for anyone to sit in. It has a width of 31 inches. 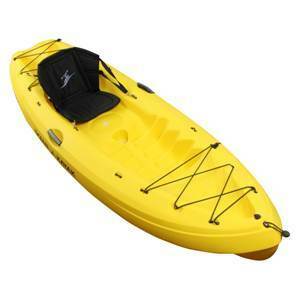 Frenzy kayak is considered as one of a very light weight kayak, weighs at only 44 lbs. So any adults can easily carry it during transportation, and it should not taking up much of your storage spaces. Besides, it has a very comfortable broad seat with its width of 18 inches. Of course, if you are of average size, this width is enough to provide you the comfort sitting in, and getting out should not be a problem as well. Since the kayak itself has a great length, therefore the leg length is also very generous measuring at 50 inches long. For this length, it provides enough leg room even for tall people. 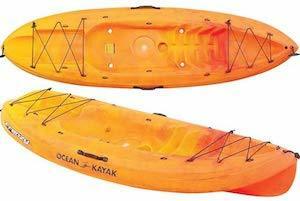 Its maximum weight capacity is about 275-325 lbs, which is quite standard comparing to most of the kayaks. If you are looking for lighter options like the inflatable kayak, you can check out this article. This kayak is also often used by many to paddle in rivers. Click here if you would like to see other options of the river kayak. Comfortable seat back which can be adjusted in four modes for your comfort. Carrying handles on the front and rear edges. It has a threaded hull drain plug, so that the kayak stays water free. Tank well that has a removable bungee in it. Tri-form hull so that it has adequate balance and easy maneuvering. Skid plate to ensure durability. Just like any other product in the world, Ocean Kayak Frenzy also has a lot of pros and a few cons. We made you aware of the features and specs before, now it is time to learn some good and bad things about this brilliant single kayak. Due to its light weight and considerably small size it is very easy to store and transport. The padded seating ensures full comfort and can get adjusted in 4 ways according to your needs. It comes with storage areas where you can store whatever you need to take with you on your wonderful adventure. The cup holder will ease your craving for coffee on the water. It comes in three stunning colors: Sunrise, Envy and Yellow. Sunrise and Envy are ombre in nature. 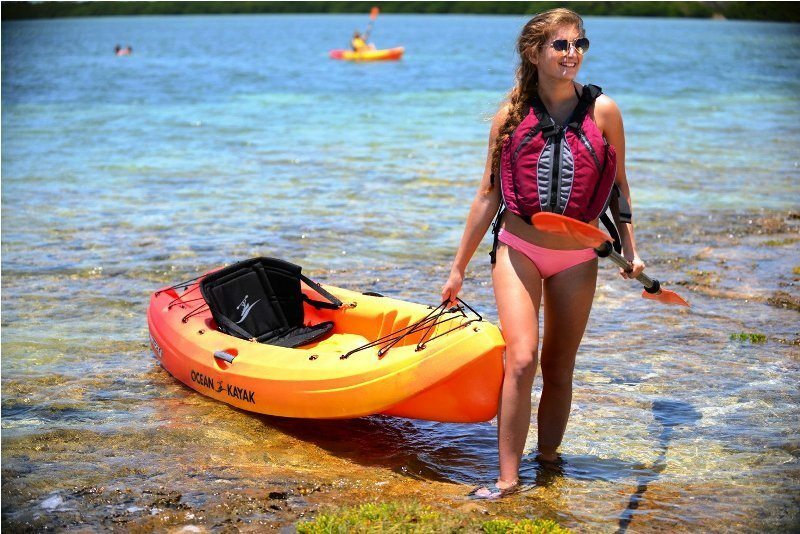 It is a single kayak, meaning you will not be able to enjoy he waters with your friend or partner unless you buy a new tandem kayak or a Malibu Two. It does not come with paddles. Editor's Note: Ocean Kayak is one of the biggest boat making companies in the world. Usually their customers are very happy and satisfied as compared to the rest of the brands. Among all of its models, the Frenzy is one of their best. When you buy a clothing item or a car, there are certain accessories you like to buy with them. For example, with a top you might want to get matching earrings or shoes, and with a car you might want to buy a car perfume or a bumper sticker. Just like those things, the Frenzy sit-on-top also has a lot of accessories that you can additionally buy with it. This is a foam-insulated icebox in which you can keep ice or fish after doing some kayak fishing. It is removable and easily fits in the tank well. Get a fish finder to catch fish easily. 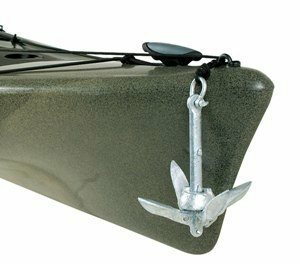 To make your kayak stay still in the water when you do not want to row and just enjoy the view, you can get this folding anchor kit which is easy to store due to its small size. To provide extra balance and ease while paddling, you can get knee braces that are black straps to help your knees stay in the right position as you paddle. These are deck-mounted clips to hold your paddles in place when you are not using them. This way, you will not have to place the paddles here and there. Ocean Kayak is one of the biggest boat making companies in the world. Usually their customers are very happy and satisfied as compared to the rest of the brands. 100% of the buyers of Ocean Kayak Frenzy gave it a 5/5 or 4/5 positive reviews, saying that they are absolutely satisfied with Frenzy. We gave it a 4.6 star rating out of 5. We find the delivery and quality of this kayak amazing. Furthermore, it can also accommodate tall people i.e. above 6’ comfortably in the seat and row. This kayak is great at maintaining balance and a straight track on the water while rowing. Best of all, many people regretted not knowing about Ocean Kayak Frenzy earlier. There is no time to waste, order now and go get your very own Ocean Kayak Frenzy to start your adventure.